Let’s admit, first, that in many ways, universities and businesses are already a lot alike. I don’t mean, here, to gesture to the cresting for-profit orientation of new higher education (MOOCS! The University of Phoenix!). Or the elimination of tenure and the creation of new assessment criteria (Florida! Texas!). Or the privatization of secondary campus functions, like bookstores and purchasing and parking lots (Everybody!) and such. These are sad facets of our life in an increasingly rightward leaning country, historically distrustful of intellectualism, and focused – consciously or not – on doing away with the middle class. What I mean, instead, is that universities already annually assess faculty, rank them based on their work, promote them based on the importance of their effort, and place a high value on a quality product, even if it doesn’t quite get expressed that way. They also regularly strive to improve their market share, to capitalize on emerging opportunities, and to do things more efficiently, wherever such efficiencies can emerge without too much disruption. They routinely have outside experts survey their departmental or divisional landscapes and make suggestions. They ask for consumer feedback. They worry about branding, and ranking, and reputation. They wrestle with their impact on local economies. Contrary to popular wisdom, then, the classrooms aren’t filled with droning faculty members, entranced by their own supposed brilliance, privileged snobs lording it over the common folk. Nor is the university a walled off, anti-capitalist preserve, determinedly distant from market forces. When you hear people say – now and in our present context – that they want the university to be run like a business – full of “sherpas” but not “coasters” – what they really mean is that they don’t want it to exist. At all. They don’t want it to be dependent on public dollars, or “welfare,” or that they don’t want “tenured radicals” to be rewarded for obscure, narrowly applicable research agendas, or that they want higher education to be cheap and affordable. This is a certain kind of business model. More like Wal-Mart. It cheapens education. And it spells, down the road, the end of schooling, generally, as anything other than a bestowal of bare skills on a prospective worker. But there are other models. Let’s build a Googleplex, instead. 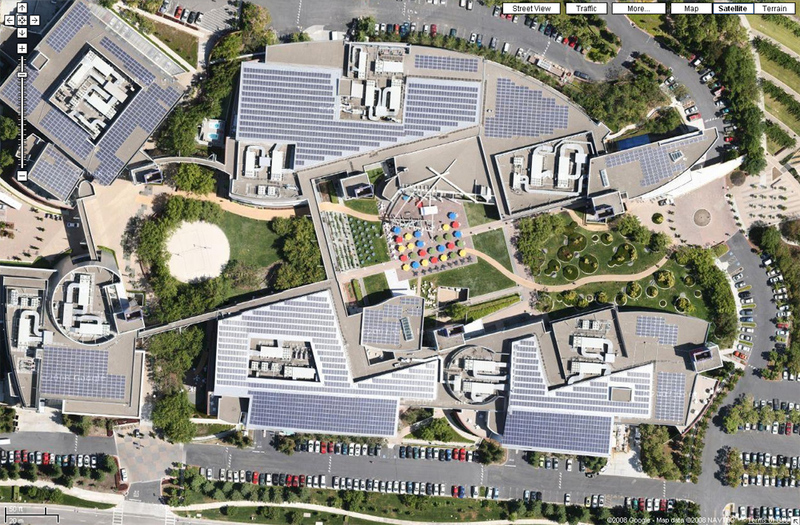 Google’s complex – or “campus,” as they call it – is a twenty-six acre dream zone, full of parks and pathways and open air spaces. Segways and skateboards and bikes and scooters about. Interior spaces are quirky and fun, with massive television screens, grand pianos, and oversized rubber balls. There are gyms and laundry machines, dinosaur skeletons and full-sized spaceships. The entire point is to encourage dreamtime, to keep people in motion, to celebrate the life of the mind, and to recognize that innovation doesn’t come in a cubicle. It isn’t perfect, but it works. Metaphors of motion and imagination haunt higher education, too. The jazzy interdisciplines – liberated from stodgy methodological certainty – are heralded as the wave of the future, generating not merely novel re-interpretations of old stories, but also entirely original vantage points on the human experience, leading to new stories, never before told. Interdisciplines also have the added virtue of bridging (rather than replacing) the disciplines that preceded them, an abridgement that takes human shape through jointly appointed faculty. Yes, there are serious structural problems with interdisciplinarity. Many clever deans and provosts and chancellors see the metaphors of “bridges” and “switching points” and “nodes” as cutting-edge cost-saving measures, since, in many cases, a single jointly-appointed faculty isn’t a truly new hire; he or she is a reallocated budget line, once wholly in one department or another, and now split. Budget problems are real and ongoing. Your average administratrix does the best that he or she can in an age of limited resources to keep the antique disciplines strong and to open the curriculum up to the avante-garde at the same time. Sometimes, they figure – or hope? – that a single person, allocated in two directions, can do the institutional work of many. If you are trying to foster new knowledge, hiring is the start of it, not the end. What comes next, though, is what often gets skipped: building a more robust interdisciplinary infrastructure – a Googleplex for academics. So, then, build bridges, where and when you can. Worry as much about sidewalks as that new humanities building. 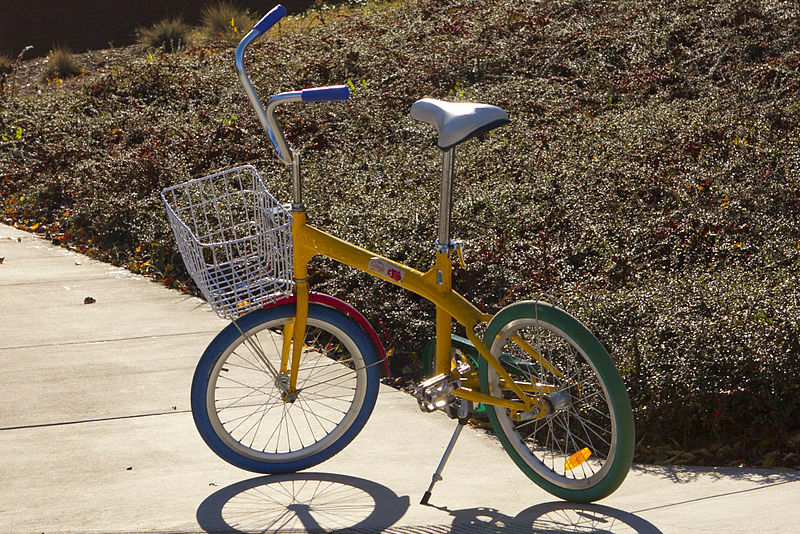 Offer faculty and staff subventions for a bicycle, or give them away. Don’t get too caught up with putting the cognate units close together. Make the process of connection over space easier, so that the practice of articulation between units and fields and offices is generative. Keep your faculty moving. Good ideas often come on the road, in transit, in the spaces between destination and departure. If budgets are tight, worry less about clustering like-minded units; worry more about the creation of scenic walkways with flat, safe sidewalks, and benches. But, then, don’t skimp on the tech. You know what kills ideas? It isn’t the sprint from one office to another. It is the discovery, on the end of the route, of dodgy wifi, spotty ethernet, and the chatter of the prehistoric desktop computer. Or it is the grinding weight of that 10 lbs. laptop from 2005. So, really, ipads for everyone and segways, too, along with moleskine notebooks, whiteboards, and color pens. Pay for iphones and cover the data costs. Spend the extra 10 million (a tenth of the cost of a big new LEED building) for the best internet connection. And, while you’re at it, set up a shuttle bus. And if someone wants to see if the new google chromebook works for them – just as an experiment – say “yes.” This isn’t pampering. It is dreamscape infrastructure. When the time comes to hire someone, embrace the weird. Hire people who don’t mind wearing running shoes, or who text while they run, or who gchat through meetings. People who love to be in two places, or three, at once. People who aren’t just working on three books at once, but who can actually make progress on each. People who can speak to a handful of fields and not just one. Hire foxes, not hedgehogs. And, above all else, hire people who can work with other people. And then, finally, don’t screw it all up by hanging these people out to dry: change the rules about tenure and promotion to protect interdisciplines, groupwork in the humanities, and digital publishing. Make it possible for new forms of knowledge production to be recognized as equally important and valuable. In the humanities, this means that we need to stop the unthinking worship of the book, and remember that the book is a vehicle for ideas, which get expressed – fully and richly – in many ways. All of this stuff costs about as much as one lab for one scientist, which sounds pretty efficient to me. And the payoff, which may not come in the form of grant money or retail teaching, is worth every penny. If we want to measure our “best” and our “brightest” universities by their movement of the conversation, by their reorientation of everything we know about anything, then let’s steal some good ideas from the Googleplex. But let’s also remember that the Googleplex and Google are different. The former is a structure of innovation, while the latter, just like Wal Mart, exists chiefly to market a product, in this case an eco-system through which an enhancement can be bought and downloaded. So build a Googleplex, but don’t be Google. Because the central point here is that while universities can learn some useful things from studying corporate cultures of innovation, they can’t ever be businesses. And anyone who says otherwise really, truly, and seriously just wants to kill them off.